Please complete this form to gain access to the Q-Files functionality. Once you have submitted the form we will check your eligibility and email with confirmation that your Log In is live. We are authorised alientech distributors, checkout their website for confirmation. 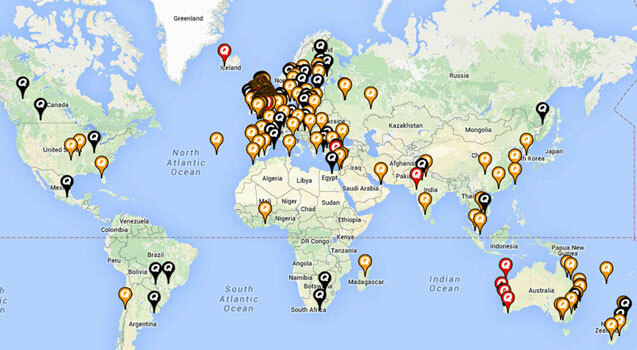 We tune over 4000 vehicles a month with 850+ approved dealers and over 1000 installation centres in 90 different countries. What remapping tool is it? Introducing a fantastic opportunity to join one of the fastest growing and most progressive vehicle tuning files service dealer groups in Europe. Introduce economy and performance remapping into your business and reap the rewards by installing the high quality Quantum Remap™ brand. Very few products have such a profound effect on customers vehicles as a custom remap and they will be delighted with the performance and economy benefits, often telling friends and family, leading to more business. This is a radical and totally unique file package - No one in World currently offers anything like this - It will allow you to dramatically grow and develop your tuning business, with significantly increased margins over ANY competing file supplier. You are supplied a new Alientech KESSv2 for Cars & Light Commercials. There are no dealership fees; no franchise fees; no management fees; no marketing levies. This is THE lowest cost entry into the tuning business, that will grow with you, as your business does. Existing tuners will soon realise that this is a fresh start, with a great new tool, with no subscriptions and make huge savings on their cost per vehicle. 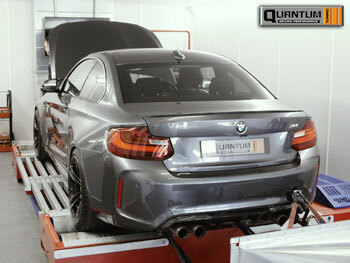 Quantum Tuning are one of the leading companies in the remapping industry. Our file plans are simple, easy to understand, with no hidden surprises. We offer the lowest cost quality tuning files in the remapping industry; the more you buy the cheaper they are. You can find out the files cost when you sign up. The Bolt-on files do roll forward, giving your tuning business greater flexibility to expand with controlled costs. Single files are also available for occasional users. Normal file service hours are 7am-7pm GMT weekdays, 8am- 4pm Saturdays and all other times by advance request. All dealers have access to the same prices and get the same level of service. We do not offer a cheaper ‘no-frills’ file service, we prefer to work to the highest standards, not cut back. All prices plus VAT at 20%, unless in Europe with a valid VAT number; or outside the EU. We don’t believe in hiding price increases for certain vehicle types, so the price you see is the price you pay for a standard Stage 1 tune. You choose our standard, high-power or eco tune, plus any combination of available DPF, EGR or speed limiter solutions. If it’s a truck, tractor or boat then, again, it is one file cost. Account facilities are available if you want to pay monthly by Direct Debit, or retained debit card, with up to 45 days free credit. Joining the Quantum Tuning dealer group is good for your business, but this might not suit everyone, so we can supply you on a confidential basis, completely transparent to your customer base. This is something we currently do for dozens of well known companies around UK, Europe and the rest of the world. If ever questioned about the source of your files by a customer, you simply tell them that you employ a top file writing company, under contract. You still get the benefits of our technical support and training. If you are in an area not covered by an existing dealer, you will also receive customer leads. You can buy your KessV2 for just to £1,900* + VAT including your first 6 tuning files. You then buy files in Bolt-on’s of 6, 14 or 25 files Some competitors do sell the KessV2 cheaper, sometimes at a loss in order to permanently tie you into a more expensive file price long term. More often than not these suppliers will refuse to transfer the slave to a new file supplier, or at least make a charge for doing so. If you are only moderately successful in this business and do 100 files a year , then you will pay £2,500 extra per year in files compared with Quantum - There is no such thing as a cheap tool. If you have Master tools then we can supply you files straight away. If you have an Alientech, CMD or Genius Slave tool then this needs to be transferred to our Master first. If your existing tuner refuses to transfer the tool, or wants to charge a large fee, then it is sometimes more cost effective to have a new tool. 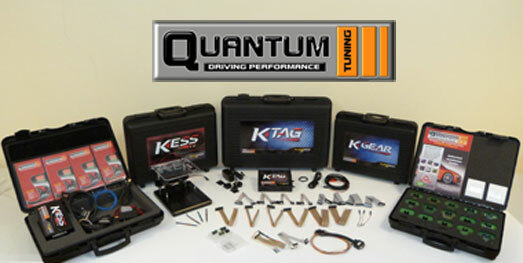 We encourage everyone in their business to invest in an Alientech K-TAG system for doing ECU-off work. For dealers that don’t have this facility, then we provide a bench programming service for £100 including the file. Simply send or bring the ECU into us and we will turn it round same day. At over 3,000 vehicles a month, we know how to write quality ecu tuning files. This is the absolute core of our business and we are very good at what we do. Look at some of our dealer testimonials to see what they think. Unlike most competitors, we have a team of experienced file writers, therefore you are not reliant on just one person. 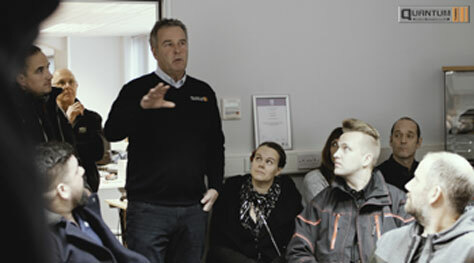 Quality technical support starts with knowledge, so every dealer is offered comprehensive training. Our very experienced Support Team are available to provide unmatched technical help and advice. Time is money and we know that a quick, reliable file service is very important to you. Our files team is targeted to turn a tuning file round in an average of 15 minutes. Our unique and advanced back-office system www.qfiles.co.uk keeps you fully informed. The time is right to become part of the Quantum Tuning dealer network to become Chip Tuning Pro and introduce quality remapping into your business. 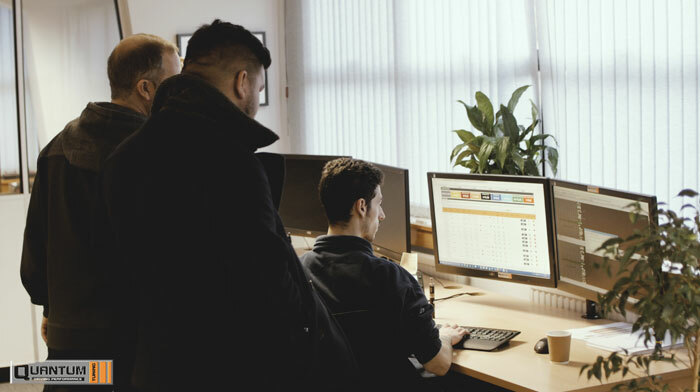 Our dealers enjoy the lowest cost per vehicle in the business , with 100% support from one of the most experienced file tuning teams and out there. Your customers will enjoy the best quality remap with a 30-day money back guarantee, plus a full written Mechanical Breakdown Warranty, for their total piece of mind. No other remapping company can match this. Dealers who join us are fully trained to an IMI certified standard so they can provide a remapping service to the highest standards, we only look for experienced motor trade professionals to join our team. If you need to expand your skill set and learn new processes. This is the absolute core of our business, with quality and best chiptuning service standards second to none - which is why so many top tuning businesses worldwide use us for their tuning files. Unlike most competitors, we have a team of file writers, so you are not reliant on just one person. Our files team is targeted to turn a file round in an average of 15-20 minutes. We only supply remap files that we have written ourselves, to our exacting standards. Different versions of the file are available to suit your customers’ needs; whether it’s maximum fuel economy, or outright power and performance or a blend of the best of both. As a trade professional, you will already be confident to connect equipment to the diagnostic socket. The KessV2 is a sophisticated protocol tool that plugs into the socket and then connects to a laptop in order to modify the vehicle. The process is straightforward and controlled, with the software guiding you the whole way through, firstly the initial vehicle identification then onto reading the ECU file. This file is sent to our Files Office who will make the modifications and return the file to you to be written on the vehicle. Typical hands on time is less than 30 minutes. To find out more visit www.YouTube.com and search Quantum Tuning, where you will find a short video showing a straightforward OBD remap from start to finish. We have a huge amount of technical experience and expertise and have used this to build a suite of IMI certified training courses to support our dealer training and development program. Training courses are also available to independent tuners. Remapping courses available to our dealers. It is quite ludicrous to believe that you can run an effective remapping business without thorough training giving you detailed and expert knowledge. We have seen countless people over the years that have experienced what we call “black box syndrome”. Basically, they have brought a tool from a cheap supplier, told which website to download the software from and that’s it. The first few vehicles come along, they don’t know what do, maybe even hit a problem, and lose confidence and the ‘cheap’ black box sits in the corner gathering dust, worthless. The training is held in the UK and the courses are certified by the IMI, which is the Institute of the Motor Industry. Quantum are the only tuning company in the world with this accreditation. What this means to you is that you can proudly state that you are the only independently qualified remapping technician in your area. This is a powerful and exclusive way to set your business above your competitors. Our strategy for dealer training is very simple. The more you know the more files you will do. This, of course, then benefits both of us. 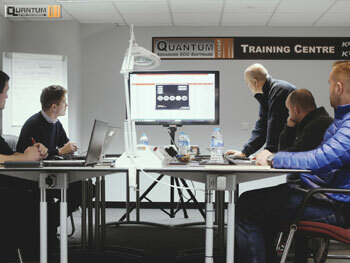 Therefore, all KessV2 and K-Tag bench programming training courses worth £450 per day, are only £95, (this includes the IMI certificate) to Quantum dealers. Whether you buy a tool from us, or have your own tool and simply buy files, then you are welcome to have training. At the same time you meet our team and understand how we work which all helps build your confidence to enable you to grow your remapping business. Our IMI certified courses are not compulsory and we appreciate it that it is sometimes hard to leave your business for a day. Many people who are experienced diagnostic technicians also feel that they don’t need training. What we would say is, without exception, everyone who has initially shown reluctance to come on a course, has gone away happy that they made the effort. The choice is yours. Here at Quantum Tuning, we don’t just take on dealers to make the numbers up, we want both of us to be mutually successful in the remapping business. Where many of our competitors make substantial income from charging excessive up-front dealer or franchise fees, with us it’s entirely the opposite; we make an investment in your long term success. Therefore, we only want to appoint companies and individuals from the motor trade, who see that they can be successful in the business and work with us to build the Quantum brand. Once you have decided to go ahead you can normally be up and running within a week. If you’ve been out of the game, or just feel a bit rusty and want to have some refresher training, then contact us, let us know what needs covering and book a date. Addition to learning the nuts and bolts on our training courses, you will be meeting some of the most experienced people in the industry and learn what we know about the business. This invaluable information is very powerful. Our comprehensive one-to-one day’s training, worth £450, is an essential part of what we offer. Ask yourself the question that if a mysterious black box simply arrives in the post, are you really confident to go ahead and tune a vehicle? You can buy the KessV2 cheaper from other suppliers, who will sell at a subsidised rate to lock you in to their file supply. There is no such thing as a cheap tool, as when you pay less for the tool, you end up paying more for the map. Do the maths. Whilst the KessV2 is a great tool for OBD programming, the fact is that to be able to cover the most amount of vehicles you will need to have the capability to programme a variety of ECU’s on the bench. The type of common vehicles that need to be programmed with a K-TAG are: most VAG, Mercedes, BMW, etc from 2008. In addition you need J-Tag for all L200 and Nissan Navara’s. Bench jobs attract a higher revenue, typically £100 extra per job. There is a potentially higher risk in removing and opening up the ECU, however, we offer a training course with every tool to help reduce that risk. Quantum Tuning is your first source for tuning tools and remapping software and we ship worldwide. We sell only the best ECU Tuning Tools and ECU Remapping Software made by Alientech and here, at Quantum Tuning, we sell all of these online. Please visit our Alientech sales site for your one-stop-shop for all your professional tuning needs. Alientech products are of the highest quality and are known throughout the tuning and remapping industry worldwide for being an excellent and most reliable tuning brand. Quantum Tuning’s innovative dealer plans are the first choice for file supply either as a full dealer or as a white label product. If you write your own files, then the range of Alientech products on offer also include master tools. We give you the tools, training and support to provide a high quality, professional remapping service on a range of over 4,500 different cars, vans, truck and tractors from 2001 onwards. Turbo diesels are the most popular for remapping. In addition, we cover turbo-petrol, specialist sports and super-cars. The standard KessV2 covers virtually every need, except for the very latest Bosch EDC17 ECU’s, which require an upgrade to a Tricore boot-mode kit for an additional fee. If you want to specialise in trucks or tractors, we can offer further upgrades. The recent introduction of the Alientech KTag tool has greatly increased the range of tuneable vehicles, including Nissan, Mitsubishi and Mazda’s. Files for all of these vehicles are still covered in your monthly fixed fee and any further training is provided. To complete the circle of quality files, with a quick turnaround at lowest prices, we need to help you build your business with a suite of marketing initiatives and support. Our main website generates a massive amount of leads, currently up to 250 a week across the network. The nature of sales leads is that not every dealer always gets them. Also, not all leads convert to a sale; however, overall they do generate valuable and significant business. In addition, every dealer can have a free-of-charge bespoke Quantum dealer website, professionally built for best possible SEO and lead generation. We give you the tools, training, support and marketing to be successful in the remapping business and we would like to hope that you will be with us for the long-term. But, what if it doesn’t sell in your business, or if your circumstances change? With Quantum Tuning you are not committed to any long-term, onerous contract or crippling lease agreements. If for any reason you wish to end your dealership, then you can do so anytime, with just one month’s notice and return your tool to us. Unused files are not credited. If you own your slave tool with us and ever wish to transfer file supplier, then provided your account is clear, unlike other suppliers, we will always transfer the slave to a Master holder of your choice, subject to any Alientech fees. 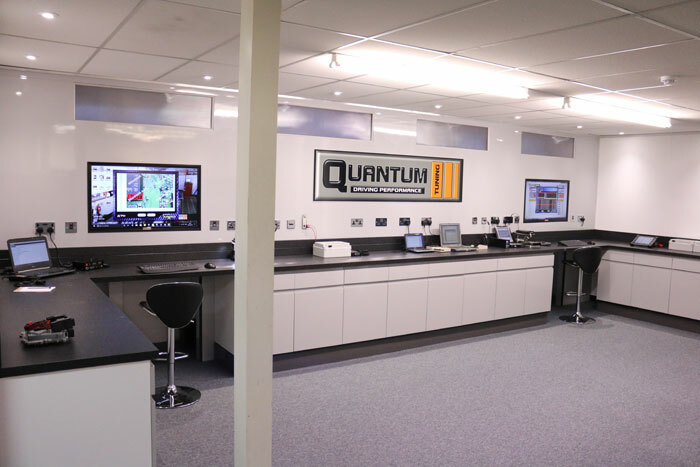 We have a set of quality posters, banners and leaflets which are supplied to dealers free-of-charge to help you promote the Quantum brand in your premises. This point-of-sale projects a professional image of your tuning services If you want, you can create your own personalised brochures or posters. We can help you with design and a library of pictures. Many dealers set up deals with local trade outlets; in fact there are over 750 in the UK. They provide them with point-of-sale, brochures etc. and they effectively act as local sub-dealer. This is a proven and successful way to build file volumes and Quantum Brand awareness in the local area. We can spend a day with you, visiting your local trade, training you of the best approach and building confidence to cold call, which for many is quite a scary prospect. Many of our top dealers have 20 to 30 local Authorised Installation Centres set up on their books and and they actively manage them to produce the best results. Our dealers are only as good as the support team behind them and we like to think our technical support and detailed product knowledge is unrivalled. Technical support, help and assistance is available during file supply opening hours, free of charge. Our dealer support website will also provide valuable information, tips, videos and techniques. To save the annual burden of Alientech’s tool subscription and update fees of £600 or more, Quantum Tuning Dealers on the Monthly Dealer Plan with one of our tools, have this cost included within their bundle fees. If you already have your own tool, or wish to buy your new tool outright, then that’s no problem, you can still join the Quantum Tuning Dealer group. You simply pre-purchase a bundle of 6 files or 14 files, or 25 files and any unused balance carries forward month to month. If you have a master tool and purchase files from a number of suppliers, we simply ask you to play fair and use our files if you are following up a lead from us. We’ve made substantial investment in our back office system to make sure that you get as much information and support as possible. No other remapping and file supply company in the world has such a comprehensive dealer support system. The backbone of our back office system is www.qfiles.co.uk which is the dealer portal, where files are uploaded for modification. Here dealers see status, ETA and which tuner is working on the file. The current files balance is also displayed, as well as technical tips, file history, etc. 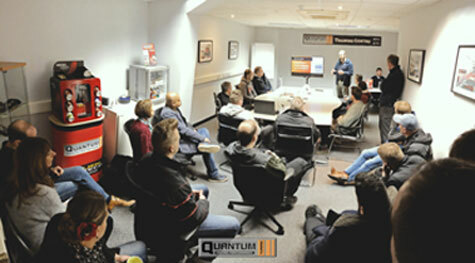 Our internal dealer forum, where dealers can exchange views, hints and tips to help get the most from their business opportunity with Quantum. With 100’s of postings a week, this is a good place to visit whilst waiting for your file to be modified. At Quantum Tuning we believe in quality support and dealer information and have made enormous investment in providing our dealer group with great data. The heart of this is our VRM lookup, where not only can general BHP and torque figures be found, but also ECU and tool information, specific vehicle tips and new for 2016 a link to the vehicle specific Alientech help screens, meaning that you have virtually all the information in one source. For non-UK dealers all of this information will be available in a manual lookup. 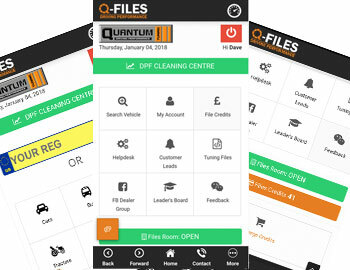 The VRM data is available within our dealer portal www.qfiles.co.uk and also within our quantum mobile phone app, so that you have the information available at your fingertips wherever you are. 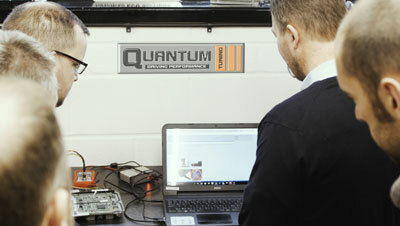 Quantum Tuning are the largest ecu remapping & chip tuning service dealer group, supplying 50,000 files annually to a network of 1,000 dealers in 95 countries. All of our dealers have received thorough initial training and then receive ongoing technical development and support to ensure every aspect of the remap is completed in a safe and professional manner.